Historic Williams Ranch fishing and hunting, LLC has teamed up with Park County’s Director of Tourism and Community Development. Gary Nichols is the creator of the South Park Trout, a program that has various leases across the South Park Basin. The design of this program is to bring fly fishing anglers to these acquired leases so that the anglers may solely fish an exclusive property. These properties extend from the headwaters of the South Platte River to the lower reaches of the Tarryall Valley and are pure unsettled reaches of the Rocky Mountain West. Historic Williams Ranch, located on 2.0 miles of private access to Tarryall Creek and 300 acres of land is considered to be a premier and exclusive property within the South Park Trout program. HWR garnishes historical merit with its newly renovated and modernized log cabin; timeless corral, outpost, and sawmill. Complete renovation and amenities are scheduled to be finished by end of July 2011. Anglers, hunters, and everyone outdoors can reside in the luxury of this timeless cabin. 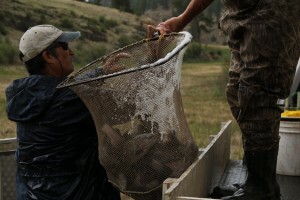 Being a member to the South Park Trout program headed by Nichols, the director has ordered a fish stock to supplement the 8 properties across the South Park, Colorado Basin. Historic Williams Ranch was selected to receive 350 lbs of rainbow trout to supplement the wild trout population in the two miles of private water. Flowing through the lush green hay meadows and insect rich willows, the Tarryall River on Historic Williams Ranch will be undergoing river renovations to increase the wintering habitat for these fish. 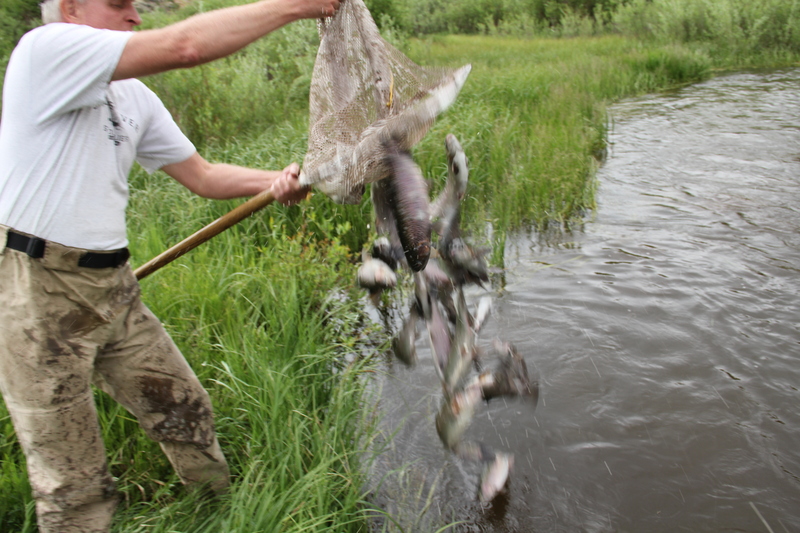 Adjacent to HWR is another program member, Allen Creek Ranch, who received 200 lbs of brown trout. 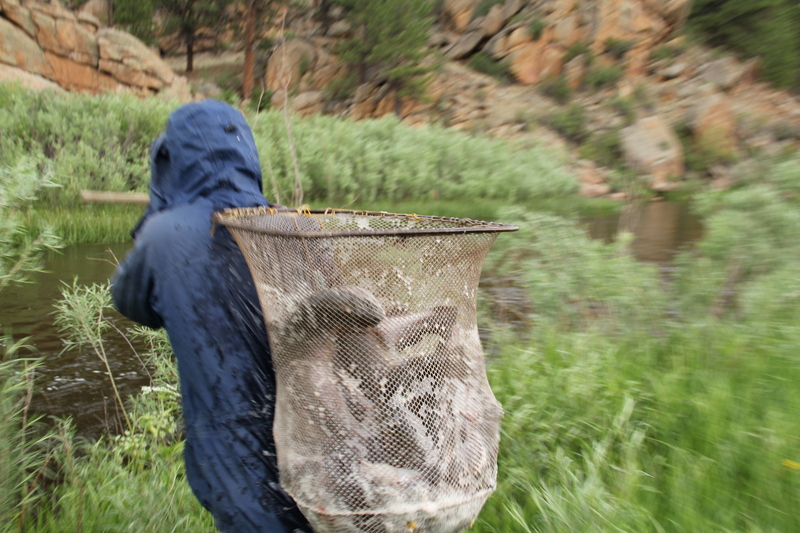 Within a combined 4 miles of private water 550 lbs of trout varying in size of 16-24 inches will make the transition to wild habitat for the enjoyment of all who visit the Historic Williams Ranch. Since modern agricultural practices have been in place throughout the Tarryall Valley certain sections of the river are in serious need of restoration. Between the removal of riparian vegetation (willows and native grasses) for the cultivation of hay and clover, to the countless head of free grazing cattle, these factors have negatively influenced their downstream neighbors; trout. With the removal of riparian vegetation comes a decrease in river bank stabilization which increases sedimentation and the widening of a low velocity river. Historic Williams Ranch has teamed up with Fly Water, Inc a fisheries improvement and Management Company to provoke new wintering habitat to support the promoted fish population. If you are interested in fly fishing Historic Williams Ranch or any other program properties please contact us. If you would like a guide to increase your knowledge and success rate at any of these properties please contact Colorado Premier Guides, LLC. 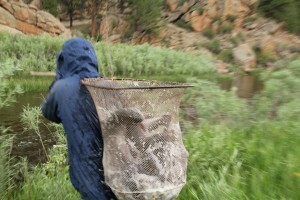 They specialized in fly fishing and waterfowl hunting across the great state of Colorado. They are very familiar with the waters of Historic Williams Ranch and other South Park Trout program properties.